Giant gold coin. 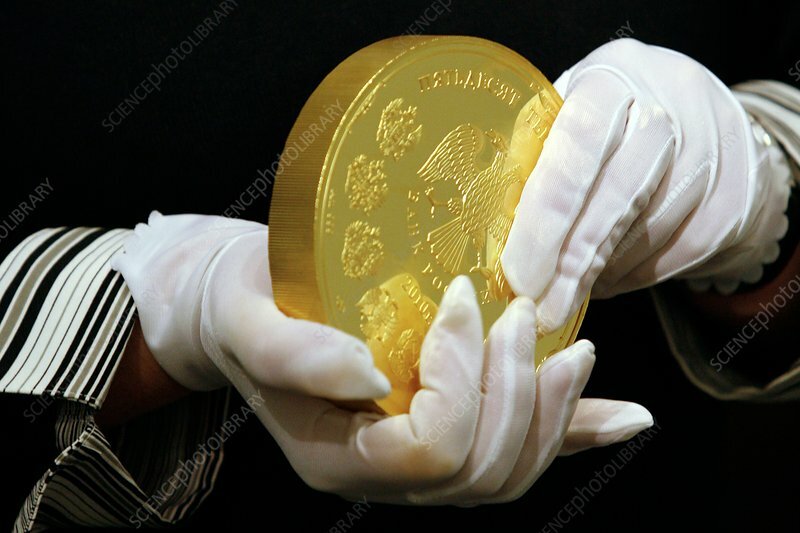 Worker holding a large 24 karat gold coin minted by the Central Bank of Russia for its 150th anniversary. This coin has a face value of 50,000 rubles. It is one of 50 that were minted, each weighing 5kg and with a diameter of 13 centimetres. Photographed in Moscow, Russia.